Applebee’s Have it All menu has all the salt; boo, hiss! I blogged earlier this week about tips for cutting salt when you’re eating in a restaurant. One tip is to check nutritional information online before going to a place to find where the salt is hidden. That’s advice I should have followed on a recent lunch trip to an Applebee’s in downtown Milwaukee. My Applebee’s chicken, with sauce and cheese on the side, was too high in sodium for me. 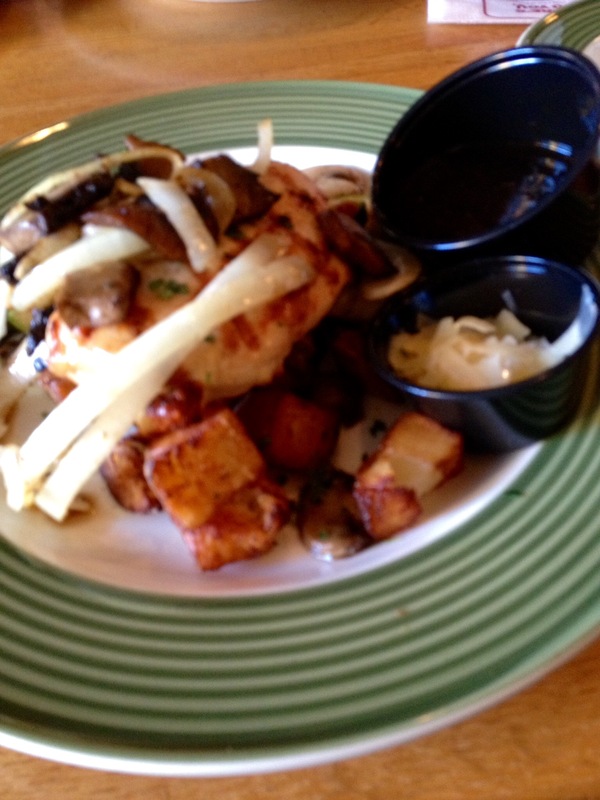 Applebee’s has been advertising its new Have It All Menu as lower calorie and healthier than its traditional fare. Applebee’s doesn’t have a place near where I live thee days, so when we were in Milwaukee recently, I thought it would be a good chance to try the new menu at an Applebee’s we were walking past in downtown Milwaukee. When I finally found nutritional info for what I had ordered I was shocked and sadly disappointed. My lunch, Napa Chicken and Portobellos, is listed as having 1,610 mgs of sodium! That’s over my daily limit of 1,500 mgs and almost a full day’s worth of salt for anyone adhering to a 2,100 mg-a-day limit. I did ask for the sauce and cheese on the side, so hopefully I saved a lot of salt that way. A taste of it indicated there was a lot of salt in the sauce. The veggies were in some sort of sauce or perhaps butter, so there was likely fat there I would have preferred not to have. The dish is listed at 16 grams of fat, high for someone like me trying to stay under 40 grams of fat a day. My wife ordered the Cheddar Grilled Lemon Chicken and was shocked to hear her dish had 2,520 mgs of sodium! I almost ordered that, glad now I didn’t. 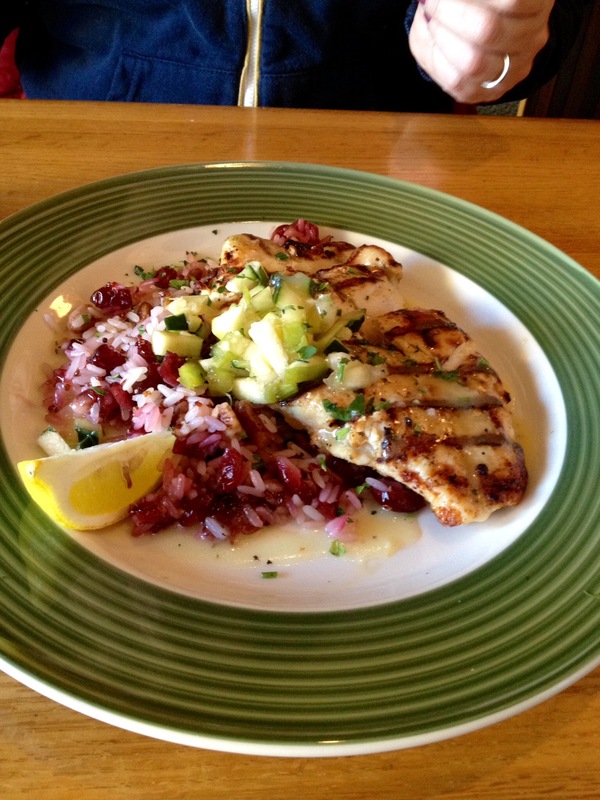 Applebee’s Cheedr Grilled Lemon Chicken was loaded with salt, avoid it. So Applebee’s is off my eating out list. Putting out lower-calorie dishes is fine, but get that salt out please Applebee’s if you want to see me again.